As the year draws to a close, I’ve taken the opportunity to present the year in pictures, the equivalent of about 30 thousand words. Its been a good year for ride reports and we have introduced the technical articles section. The recent VAC management document is an outstanding example of what we are striving to achieve. To all our contributors, many thanks. 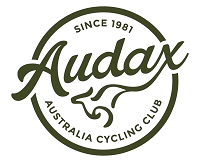 Previous newsletters have noted the achievements of Audax Queensland riders in the 2017-2018 season. It’s been a big year with records broken everywhere. Its also worth noting the work going on at the national level, so I have. Wishing all of you a safe and enjoyable 2019. As the end of 2018 approaches, its a good time to contemplate the remaining rides for the year. We are two weeks out from the AudaXmas party so book now. Enjoy the pictures from Andrew’s PAP ride report, and maybe contemplate some bike/life zen-ness. You’ll possibly have noticed it’s hot outside, so make sure you take the necessary precautions if you are out in the heat. And be safe out there. A troubling week in the wake of the the death of Sunshine Coast cyclist and cycling safety advocate Cameron Frewer. His passing has been widely commented on, and is hoped to be a catalyst to improving road safety for cyclists. Legendary frame builder Mario Rossin leaves us. A little of his story below. The Yeronga Medley has come and gone and with it tales of triumph and woe. Audax Queensland riders cover vast amounts of kilometres in the previous season. And finally, lots of great rides to contemplate as well as the 2018 AudaXmas Party. Enjoy. As the season rolls to an end its time to reflect on all the good times as you prepare your awards applications. Information on how to do that can now be found on the website. A further opportunity to discuss tales from the road will occur on December 15 at the year end soiree. Details are yet to be announced, but keep the date free. Results from the Qld contingent to 2018 the Perth Albany Perth have been documented. Mark Harris offers a solution to that awkward situation which arises now and then, and there are some excellent ride reports for your reading pleasure. Enjoy. The mild Spring weather has arrived and with it the adventures of The Castaways for your reading pleasure. I suspect the Castaways crew were a little surprised to see me heading in the other direction, but I was working on my Oppy preparations for next year. Right now the inquest for Mike Hall is underway with a fair amount of dark commentary from some quarters. Don’t forget that we are looking for hands to help man the sails, step right up if you can assist. And as usual, there is a swathe of epic rides on the horizon as well. In this final newsletter for August, I note the passing of Dario Pegoretti. In other news, the significant achievements of Brian and Jeff are noted, Paul and Anthony share some technical insights, the evolution of gravel bikes is worth checking out, there is an epic ride report/photo collage, more pictures from Thomas and probably a few things I forgot to mention as well. Check out the upcoming rides, and start thinking about your 2019 Oppy adventure now. My thanks to everyone who contributed content, enjoy.